The most important thing when building a brand is to establish an emotional connection with your audience. This is because your brand is your most important asset that customers interact with 24/7. Using video is a powerful way of promoting your business online. If done well, it will not only drive traffic to your site, but will also boost your search engine rankings. Once you have an idea for your video, you need to create a plan for how it will be executed. This is where hiring an experienced video production company comes in. 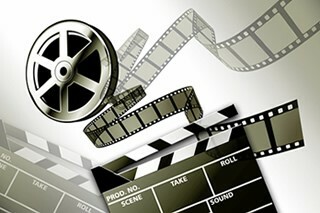 A professional video production company will help you with the planning process. The planning process includes booking equipment, key personnel and locations, and preparing schedules and budgeting. Making a simple business profile video may need only a few hours of planning compared to a larger production which can take days to plan. After planning comes the real work of production. Here, you will need to hire an experienced company like Ball Media Innovations to bring your concepts to reality. There are a number of factors you should consider when searching for the best Miami video production services. Consider the experience of the production professionals (cinematographer, director and editor) of the company. You can gauge the professionals’ experience by checking the company’s portfolio. Also, look for their work samples online Of course keep in mind that most companies have employees with various levels of experience. It’s quite common for companies to place relatively inexperienced personnel on your shoot even if they have some experienced people. This is because this costs them less, and makes them more money. At Ball Media Innovations we only use highly experienced crew members. We earn a smaller profit margin than most companies, and we invest a higher percentage of your cost back into your project. The creation of a concept, storyboard and script are essential for your video to succeed. Therefore, hire a company with a team that is both talented and creative. Using professional on-screen actors is bound to make a huge impact on your final video. Ball Media Innovations can help you bring your ideas from concept to post-production. Our creative team has worked with diverse clients, giving us a vantage point on creativity. The camera used for your production will make a big difference in the quality of your final video. An HD Camera or DSLR camera with an excellent kit with an assortment of lenses and filters should do the trick for a video intended for the web. Many corporate videos can be shot by a small crew of key personnel, while big productions require larger crews. Professionals such as light techs, hair and makeup artists, production assistants, sound engineers and others may be included, depending on your project and budget. This is the stage where raw footage is transformed into a polished video ready for the audience. Consider the time it will take to edit the video along with all the other extra processes required. For instance, things like sound mixing, color correction, adding titles and motion graphics may take time. Fees for things like stock footage and images, compressing and encoding your video for different types of media should also be considered. At Ball Media video production company we can help you determine exactly what’s needed for your video to succeed, while staying within your budget. When creating videos, ensure the company you hire has experience in shooting and production, and will make your video look and sound great. Ball Media Innovations is a professional Miami video production company that helps customers enhance their brands through video. 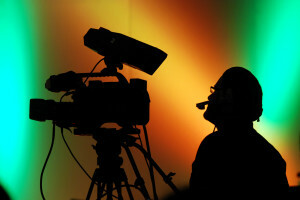 Click here to find out more about our video production services.